Students learn about the meaning of the beautiful day of Shabbat. 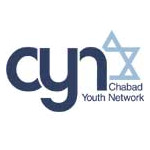 In this interactive workshop the students usher in the day by lighting Shabbat candles, making Kiddush eating challah and learning about the significance of each special thing. . The students make their very own challah, decorate a Kiddush cup and or candlestick to take home, which ensures that the message of Shabbat truly stays with them.